1. 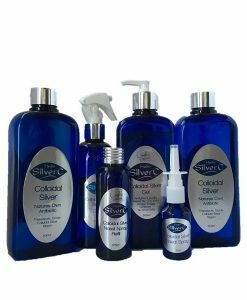 Can be used on all animals saving you vet bill’s, because colloidal silver is tasteless and odourless it can be used on our pets without upsetting them too much. It can help with mange, parvo, rashes hot spots, allergies, watery eyes and many other ways for our pets. 2. 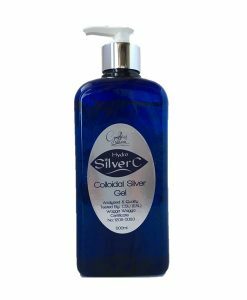 The colloidal silver gel and spray can be used as a hand sanitiser. Can be used in public bathrooms and in the office to spray around the room just like Glen20. 3. Can be used on our plants to get rid of aphid’s, fungi, bacteria and black spot. By spraying colloidal silver in the soil around your plants allows them to absorb some of the microscopic silver particles, which in turn helps make them super-resistant to disease, mould and fungi. This can help with increasing your crop yield. But more importantly, it helps protect you and your family from ingesting foods contaminated with pathogens. Can also be used for fruit fly. 4. Can be used to purify water 5. Can be used around the home to kill mould and fungi, to kill odours in the bathroom and garbage’s. 6. Treat wood for termites and white ants with colloidal silver in other words, when the termites ate the silver-treated wood, the silver killed the bacteria that live in the termite’s gut. The termites depend upon these bacteria to process the wood they eat into life-sustaining nutrients. So if the wood is drenched in silver, and the termites eat the silver, it kills off the bacteria in their tiny gut which they depend upon for the conversion of their food to nutrition. No nutrition, they die. It’s as simple as that. 7. Keeping Cut Vegetables Fresher, Longer. You can spray colloidal silver on cut fruit and vegetables to stop them from discolouring. You can also spray the inside of jar lids once the jar has been opened to stop mould from growing inside the jar lid. 8. Using Colloidal Silver to Keep a Bouquet of Flowers Fresh Longer by adding three tablespoons of sugar to the water, followed by two tablespoons of colloidal silver. The sugar provides nutrients to keep the clipping alive, while the colloidal silver destroys bacteria that can invade the plant stems. I’ve added colloidal silver to the water in a fresh flower bouquet in the past, when the water seemed to be turning slightly brown and the flowers were drooping prematurely. The flowers perked right back up after the addition of the colloidal silver, and stayed that way for another three or four days!